NOTE: Kubernetes has evolved! The cAdvisor module is now integrated directly into the Kubelet binary. These directions are no longer entirely accurate because of this. The cAdvisor manifest does not need to be deployed. If you’re looking for current info on deploying Kubernetes, please reference the related config files in my GitHub salt repo. I’ll be doing my best to keep those as up to date as possible. If you’ve spent some time with Kubernetes, or docker in general, you probably start to wonder about performance. 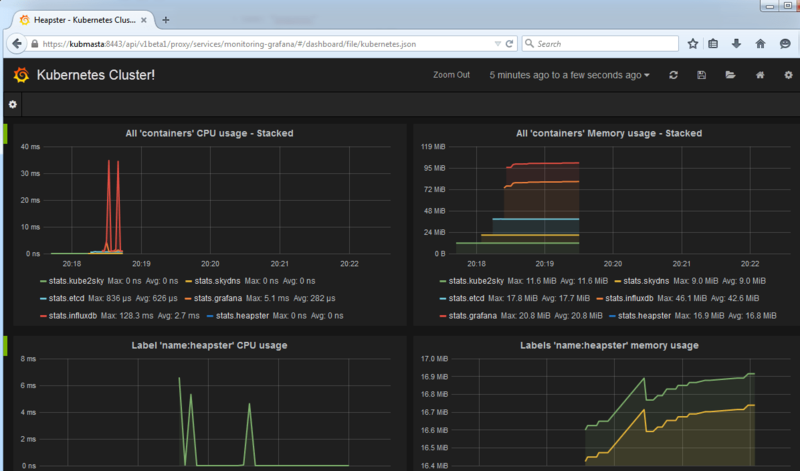 Moreover, you’re probably wondering how to gauge performance of he overall host as well as the containers running on it. This is where cAdvisor comes in. 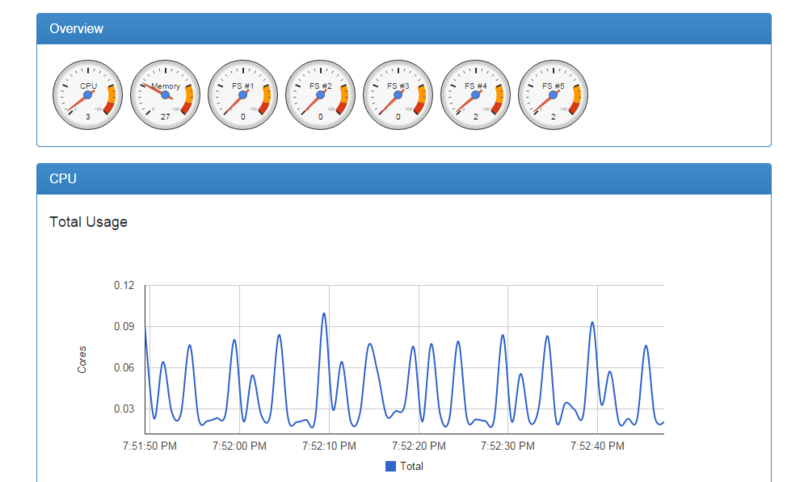 CAdvisor is a open source tool for monitoring docker and it’s running containers. The best part about cAdvisor is that it has native docker support and is super easy to integrate into an existing Kubernetes cluster. 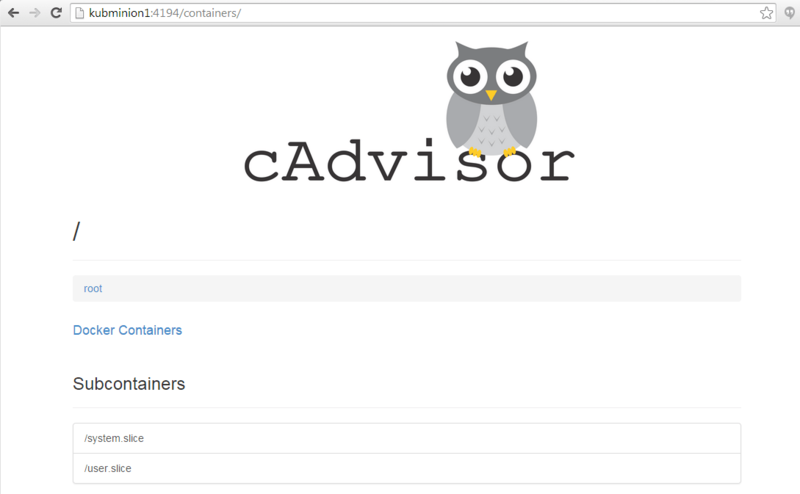 Additionally, cAdvisor runs in a container (starting to see why docker is awesome?) so the configuration changes required on the host are super minimal. AKA – You just need to tell the host to run the container. In addition to installing cAdvisor on our bare metal Kubernetes cluster, we’re also going to install another awesome open source Google tool call Heapster. Heapster gathers all of the data from each Kubernetes node via cAdvisor and puts it all together for you in one spot. We can also dive into any running container and check to see how it’s running by scrolling up to the top and picking the ‘Containers’ link and then selecting the container we want to look at. Pretty cool stuff! Note: Heapster relies on the service DNS resolution. If you don’t have that running yet, see this. First – It turns out that the API port wasn’t configurable in the official release. I suspect this is another difference between running this on bare metal and running this in GCE. Regardless, I opened a pull request and had the code I used to fix this merged into the project (yay me!). That being said, we can use the revised templates from GitHub, but the docker image isn’t updated yet with the fix I made. I’ve got a docker image out there that does have the fix so I’ll be using that rather than the official released image. I reached out to the guys that manage this to see when the official docker image will be updated. When that happens, we can go back to using the original containers from the project. All of the templates I show below have the two changes I listed above already made. If you download the pod templates off of GitHub directly you’ll need to make these changes yourself. Note: In my case, my Kubernetes master is called ‘kubmasta’ and the API service is listening on port 8443. Since you’re using HTTPS we’re also going to get cert warnings on your initial connection to the API server. Either way, pretty cool stuff. I hope you’re starting to see the power of this model. Deploying an entire platform like Heapster was done with 5 command on the Kubernetes master. Sorry. Found my mistake. I was running ver 0.12.x while the latest release is 0.14. Thanks you for a wonderful article!